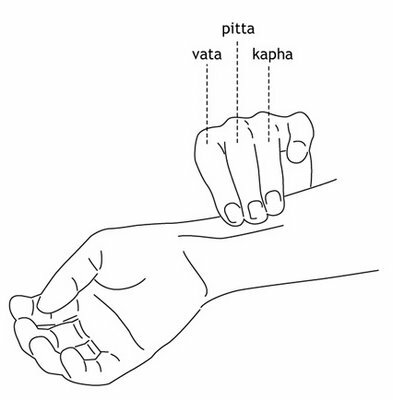 This entry was posted in free online ayurvedic consultation and tagged Ayurvedic Consultation, Ayurvedic Herbs Treatment, free online ayurvedic consultation on December 8, 2014 by ayurvedicconsult. Pre menstrual syndrome is a temporary syndrome detected in reproductive women just a day before they get their menses. The specific pre menstrual syndrome is yet to be unidentified but most relevant information researched is the changes in the hormones especially at the brain level. Serotonin is the common neurotransmitter that function in order to calm and relax the mind avoiding all fluctuations in mood. It occurs because women observe change in the social, cultural and psychological behavior. It has been observed that 3 out of 4 women between twenty to forty experience this syndrome. The symptoms are varied and begin just days before you are expecting your menses and fade away by the second or third day of menstruation. You may experience headache. Irritation, confusion, anger towards self and others, mood swings you may also find it difficult to concentrate even after continuing efforts and u might land up forgetting certain things. Other physiological symptoms like gas bloating, constipation, breast tenderness, hot flushes , diarrhea are common. In Ayurveda for this a lot of herbs are there to help the young girls and ladies. The most important is Asoka. This herb has the unique property that helps the young girls in developing their organs properly. Ayurveda helps in developing the girl’s uterus and other female parts like breast. It helps in avoiding PCOD in girls that is very common now days. It also helps in maintaining hormonal imbalance. In this way, the beauty of the girl and shape of the girl for they are known is maintained. Like these Dashmool is also a group of ten herbs which also regulates the menstrual cycle. Excessive micturition is called poly uria.if urine output is up to 2 liter a day. It is normal.if the amount of urine is more than this then it is polyuria. Main cause of polyuria is diabetes, hydronephrosis of kidney. Excessive intake of tea, drink, intake water also causes polyuria. Inflammation of the prostate and urinary bladder stone is also the cause of polyuria. When patient is not able to control urine, it is the symptom of neuropathy of kidney and urinary bladder area. Even some time in this disease patient urinate on bed. Even some time patients urinate on cough and sneezing. Prolapsed uterus is the maincause of polyuria in females. Treatment of polyuria is to take 1tab twice a day of Chandraprabhavati and person who micturate without their will take two tablets of Navjeevan ras. Children who micturate in bed take 1 tablet of Navjeevan ras twice daily morning and evening. Do not give milk before sleeping. Due to bad eating habits colon get disorientated due to which intestinal movement gets vitiated and lead to intestinal obstruction. Main cause of constipation is the absence of fiber diet. Person or child taking noodle and bakery products are more prone to constipation. Old age is the natural cause of constipation. In pregnancy constipation is common problem because uterus pressurized over intestine. Due to over taking of fast food lead to the deficiency of vitamin b1 leads to the slowing of intestine. Treatment is very simple take Badi harad . Powder it and take with hot water or milk. In ayurveda it is written clearly that harad is just like mother to the patient like mother it never harm any patient. Take plenty of hot water. Take sitzbath in hot water and do yoga. This entry was posted in free online ayurvedic consultation, Healthcare and tagged Ayurvedic Consultation, hormonal imbalance, intestinal obstruction, polyuria on December 6, 2014 by ayurvedicconsult. Pimples make face ugly mix 1 t sf of gram flour and lemon juice with pinch of turmeric. 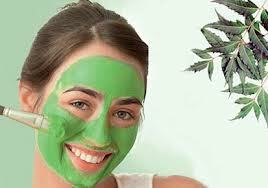 Then add 2 t ea spoon Multani mitti .Apply this paste for two week.Pimples will get reduce. Take maha manjistha kwath to reduce pimples. Take chirayta to reduce pimple. To thicken eye lashes massage with olive oil. Mix equal quantity of castor oil, almond oil and Bhring raj oil to make hair shiny and avoid premature greying. For dandruff apply curd with lemon juice to cure dandruff. Take plenty of water to make skin healthy. Cucumber juice with milk is good cleanser for skin. Apply olive oil with salt to cure cracked heels. Multani mitti is a good skin toner and moisturiser . Its use in any age is beneficial. Its use tighten the skin and delays wrinkles. Mix 1 t sf of each of Heena and coconut oil in milk and apply mask on hair.wash after an hour for well conditioned hair. Before peeling of make up, put some water drops on face. Apply buttermilk on sun burn sensitive area. To remove dark skin colour of hands rub half lemon with sugar on it. Apply 1/2 cup of curd with lemon juice . To reduce dryness make a paste of egg yolk and half tsf honey and half tsf of barley flour and apply on face half hour before bathing. This entry was posted in BUY ONLINE BEST QUALITY HERBS, free online ayurvedic consultation, Healthcare and tagged ayurvedic beauty care, Ayurvedic Consultation, blemishes home remedies, BUY ONLINE BEST QUALITY HERBS, dandruff ayurvedictreatment on December 5, 2014 by ayurvedicconsult.